"Mechanisms" are specifics about the glaze application or preparation process, the materials, the chemistry or firing schedule that produce a specific visual effect. This is fired at cone 10R. 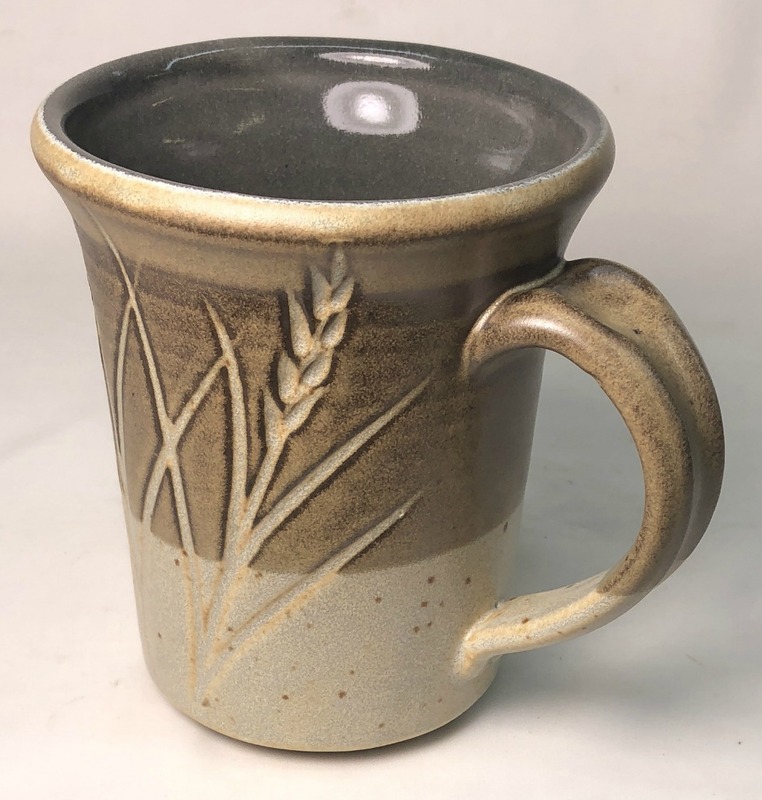 It is made from a buff stoneware, Plainsman H550, and has L3954N black engobe on the inside and part way down the outside. The transparent glaze on the inside gives the black a deep vibrant effect. The outside glaze is G2571A with 3.5% rutile and 10% zircopax added (the latter imparts opacity and the former produces the variegated surface). The powerful color of the black engobe wants to get through but it is only able to do so where the glaze layer is thinner (producing the varied shades of brown with differing thicknesses of glaze that occur because of the presence of the incised design).